This winter, CBC/Radio-Canada selected the Canadian company Glider Gloves as its supplier of choice for warm and functional gloves for its outdoor broadcasting team. Glider Gloves are full-hand, conductive gloves that let their wearers use touchscreen devices freely, while keeping their fingers warm even on the coldest of days. "CBC is always looking for ways to maximize the comfort and productivity of our outdoor broadcasters and this year was no different," says Cindy Mousseau, Business Manager at CBC. "We were impressed with Glider Gloves' warmth, full-hand design and ease of use. 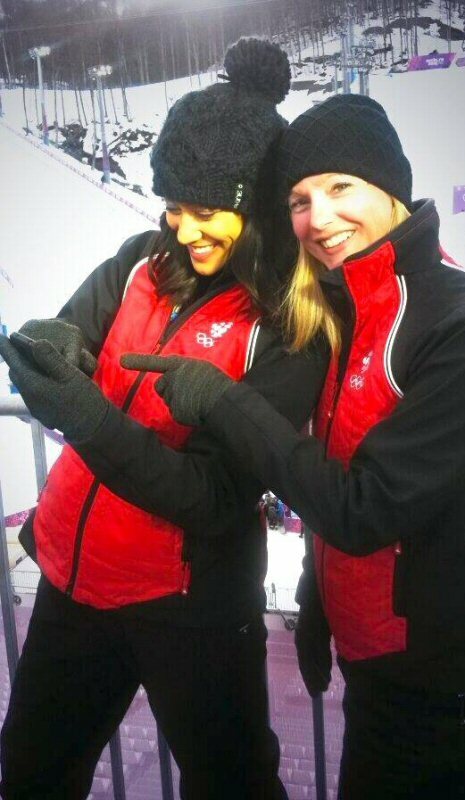 Functional gloves were the one accessory missing from our broadcasters' attire and we couldn't be more pleased with our Glider Gloves decision." These innovative and useful gloves were on the hands of broadcasting crewmembers during many prominent events this winter season including the 2014 Bridgeston NHL Winter Classic, Scotiabank Hockey Day in Canada and recently in Sochi, Russia. "It's extremely satisfying to see our product used on such a wide scale by a company we've always looked up to," says Scott Henderson, PR Communications Director at Glider Gloves. "We're honoured to play a part in CBC's broadcasting initiatives throughout the cold winter months." Glider Gloves have been at the forefront of wearable technologies and has contributed to touchscreen gloves becoming a mainstream winter clothing accessory. Over the last four years, Glider Gloves have established a significant online sales channel as well as a global distribution network throughout Europe, the United States and Canada. Named "The Best Touchscreen Glove" by The Wirecutter the last two years running, Glider Gloves recently began a glove-branding program that is now used by many high profile companies including Chevrolet, Google, Verizon, and Uber. Launched in 2010, Glider Gloves is an innovative Canadian company that manufactures and sells touchscreen gloves. Combining full touch response, with warmth, protection and anti-slip grip functionality, Glider Gloves maintain full connectivity between your hands and the touchscreen, while providing the protection you need from even the harshest of outdoor elements. To view the photo associated with this press release, please visit the following link:www.marketwire.com/library/20140225-glidergloveswinter800.jpg.